The university community celebrated Diwali, the Hindu Festival of Lights on Thursday, November 8. Celebrants created 1700 radiant luminaries that lit up the Orange Grove for four hours during the evening. The festivities continued in Bowne Hall with Bollywood music, samosas, biryani, sweets and spiced chai. Nearly 300 students, faculty, and staff participated in the celebration. 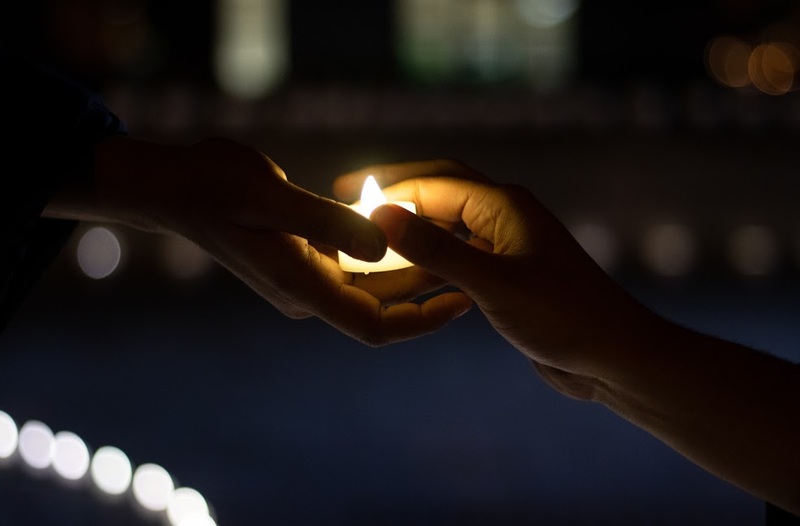 Diwali was sponsored by the College of Arts and Sciences, Hendricks Chapel, the South Asia Center and the Department of Art and Music Histories. It was organized by Professor Romita Ray (Art and Music Histories) and was designed with the help of students in Professor Ray’s Art & Architecture of India course; Professor Ann Gold (Religion) and her students; Harmeet Lamba (Information Management); Professor Pramod Varshney and Anju Varshney; and students from the South Asian Students Association. Image by Marijke Margaret Stivers Pieters-Kwiers (Photography major).